Arrive at the beautiful Botanics Cottage and be welcomed with a glass of fizz and canopies. 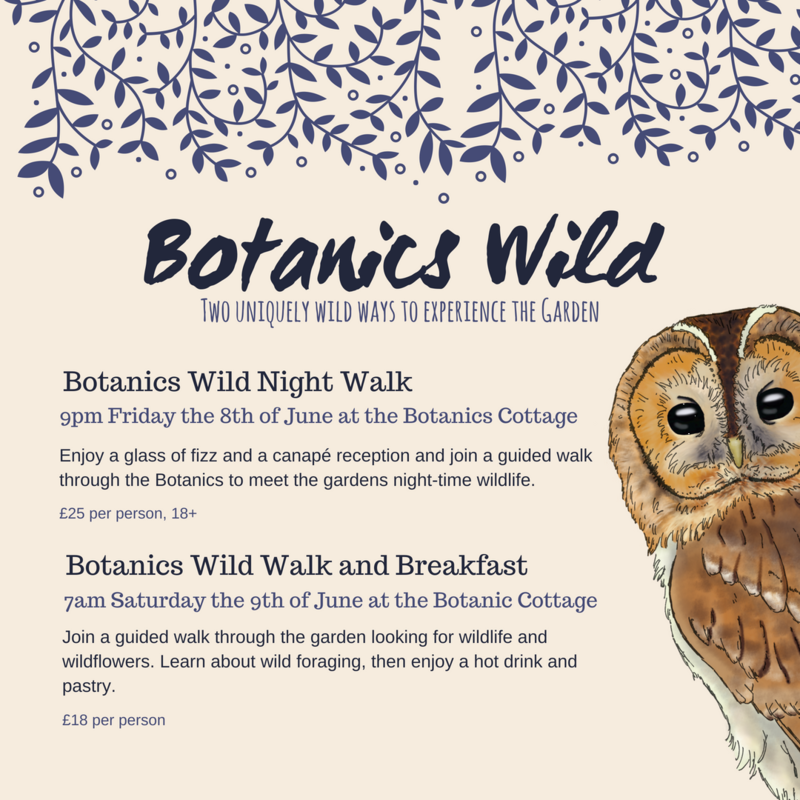 Hear tales of the gardens night life and learn all about what we might find hiding in the dark. 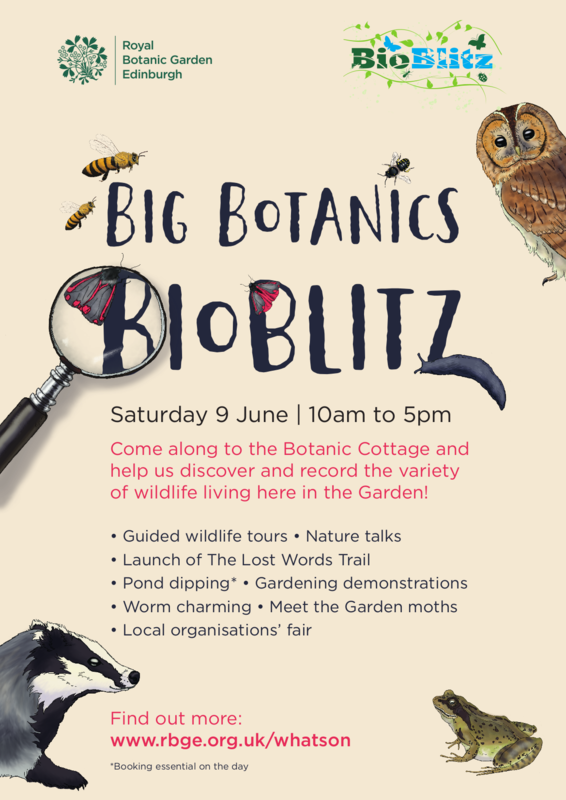 Graeme Wilson, Manager at the Wildlife Information Centre, will then lead an exclusive tour around the Botanics. Lothian Bat group will provide bat detectors for you to try out and you will have the opportunity to look at moths traps that are in use for the bioblitz. Please dress appropriately for outdoor activities. Sensible footwear and warm clothing are essential. Please be aware that a considerable amount of walking will be expected. The Garden covers over 70 acres and tour will cover a period of an hour. Please note that there will be very little light in the Garden once the sun goes down. We will provide some lighting but you may find it useful to bring a torch. Enjoy entering the Botanics, through the Botanics Cottage, before the garden is open to the public. Take an exclusive wildlife tour around the gardens led by one of our experienced Garden Guides and one of our fantastic Horticulturists. Listen to the morning’s birdsong, meet any moths found in last night’s traps and enjoy the peace and serenity of the Botanics. Relax in the beautiful cottage with a hot drink and pastries. Then have the opportunity to go out into the demonstration garden for a talk on foraging.